April | 2016 | You write what....? Well, that didn’t go as expected…. So, for the last two and a half years, I’ve been talking about this story I was writing. I was madly in love with it (still am as a matter of fact) and couldn’t wait for it to be published. So I submitted it to my publisher and for the very first time, I wasn’t really worried. With every other story I fretted and worried and I was sure they were going to say no. But they never did and so I got a little cocky. But not for the first time, life had a little twist for me. They had their reasons and I’m trying really hard not to let it get me down, but it’s much easier said than done. I spent the first couple days crying whenever I thought about it. It broke my heart to be honest. It’s like being told that your child just isn’t good enough. I put my heart and soul into that story and I honestly still think it has the best characters I’ve ever written. So now what? Every writer goes through this and in my head I know it’s not the end of the world. It’s not even the end of the story. I”ve got someone looking it over, and hopefully he can help me address the issues the publisher pointed out and I will re-submit. Not sure where yet. I’ll ask the publisher if they’d be willing to take another look once it’s been edited and if not, I’ll look for another one. I’m reluctant to do that because I love my publisher and working with them has been more amazing than I ever could have hoped when I started on this journey in 2011. But I still think my story is good and my pre-readers seem to agree with me, so I won’t give up. But man, my hearts a little sore…and I’m a little embarrassed. As the song goes, I’m an emotional girl and while I try hard to not to let the emotions get the best of me, well, I’m only human. I have a good friend though, who’s helping me through it. He’s a writer too and knows how it feels and his support and encouragement mean a lot to me and keep me from falling too far into the doldrums. Thanks for that Ash. So, while I’m waiting for the suggestions from the guy who’s going over it, I’m trying to figure out what to do next. I should be writing and I’m trying. I have a couple of story ideas, one that started as a short but I can tell is going to need a few more words than the 18,000 the publisher is looking for the anthology they are putting together. The other really is going to be a short story that I’ll hopefully get finished in time to submit. And I’m terrified about the whole damn thing. I know rejection is the chance you take when you put yourself out there, no matter how you do it, but I’ll admit to spending a few days contemplating chucking the whole writer thing because I wasn’t sure it was worth the damage that it was doing to my self-esteem, which can be a little shaky at the best of time. Giving up just isn’t in my nature. I’m kinda stubborn and tend to do things even when they might not be the best thing for me. And in this case, I don’t really think I have a choice but to let my imagination run wild….I might explode if I try to keep it all in and that would be very, very messy. So, thanks for sticking with me and I hope you’ll have patience. I will have something coming hopefully not too far in the future. Keep looking for the beauty in whatever you see. 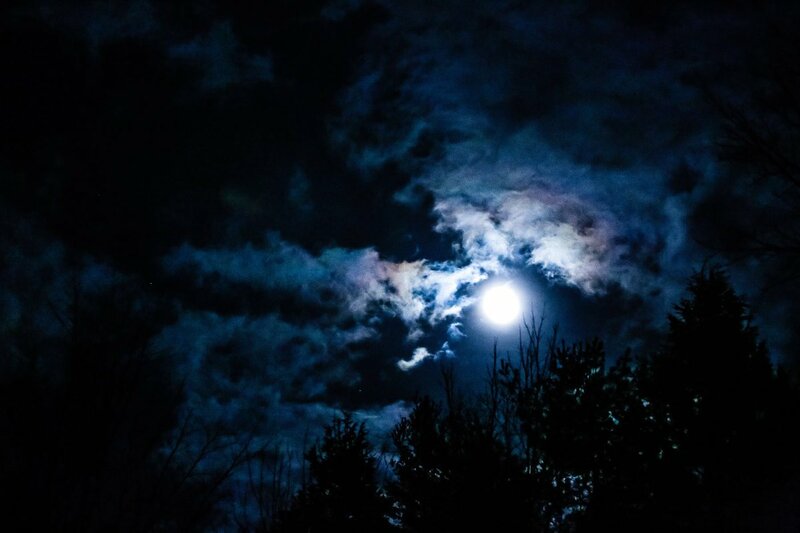 Like this full moon photo by my favorite photographer, Anthony Aceto.